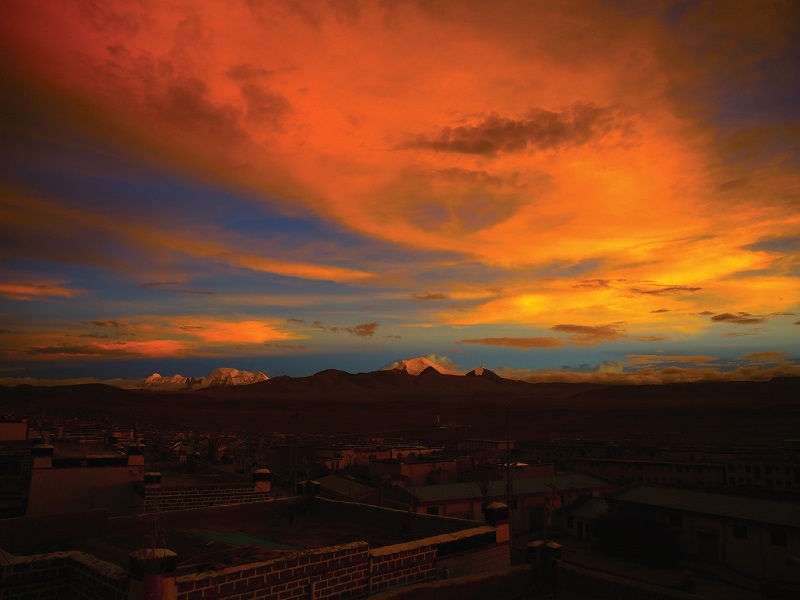 Sakya Monastery is a great Tibet monastery which located to the west of Shigatse at a distance of 160 km. Sakya means gray-and-white soil relate to the white and glossy soil on the south side of the Bonbori Hill where the temple was founded. 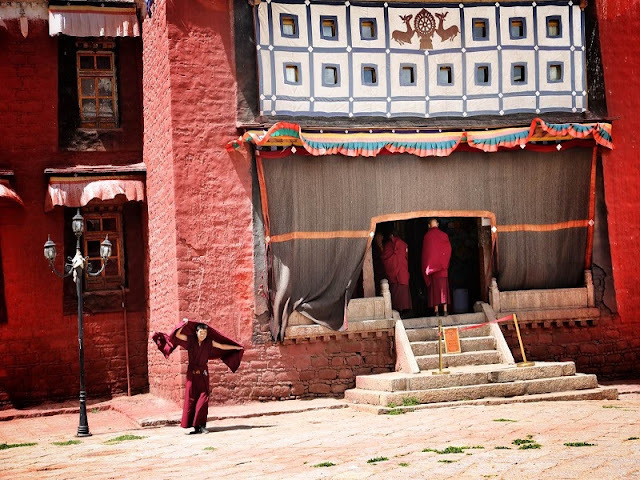 As the center of Sakya Sect in Tibetan Buddhism, Sakya Monastery was established in 1073 by Konchok Gyelpo who once was a Nyingmapa monk of noble blood and became the first Sakya Trizin later. It was painted in red, white and navy blue as the symbol of Bodhisattva Manjusri, Avalokitesvara, and Vajrapani Bodhisattva respectively. 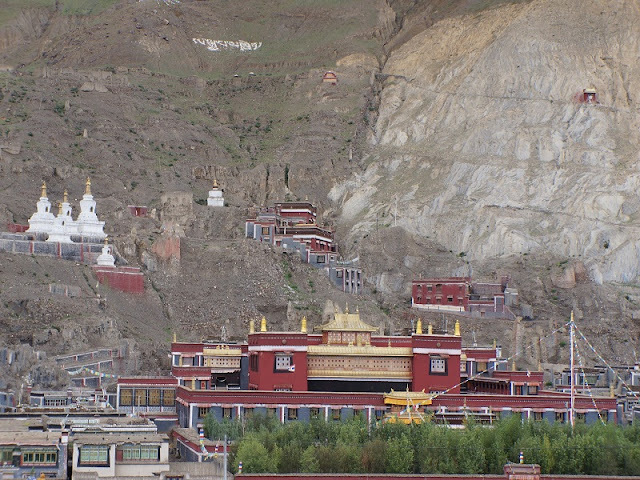 Sakya Monastery is divided into two parts by the Zhongqu River. The northern part Situated on the rock below the gray and white soil of the Bonbori Hill on the north bank while the southern part is located in the flat land on the south side of the river. Founded in 1073 by Konchok Gyelpo, the Northern Monastery was simple and crude in the beginning. 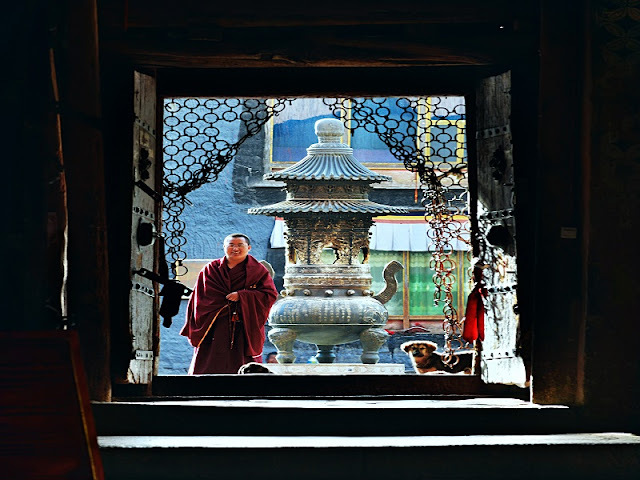 By the effort of his son who is the patriarch of Sakya Sect and After extensions added in the following 300 years, the northern temple became a grand architectural complex for religious use. The Southern Monastery was set up in 1288 by Sakya Sangpo who is the fifth Sakya Throne Holder. According to legend, monks and believers reached an agreement that the new temple should be able to defensive and fire-resistant, so they fired shells from the Bonbori Hill to select the site for The Southern Monastery. A shell fell down to the left side of the front gate, while another one fell into the central square of the main hall where spring gushed out just at that moment. Everybody present thought it's a propitious sign and made the decision to build the new monastery there. In the past golden ages, Sakya Monastery was a massive building complex with more than 40 units. 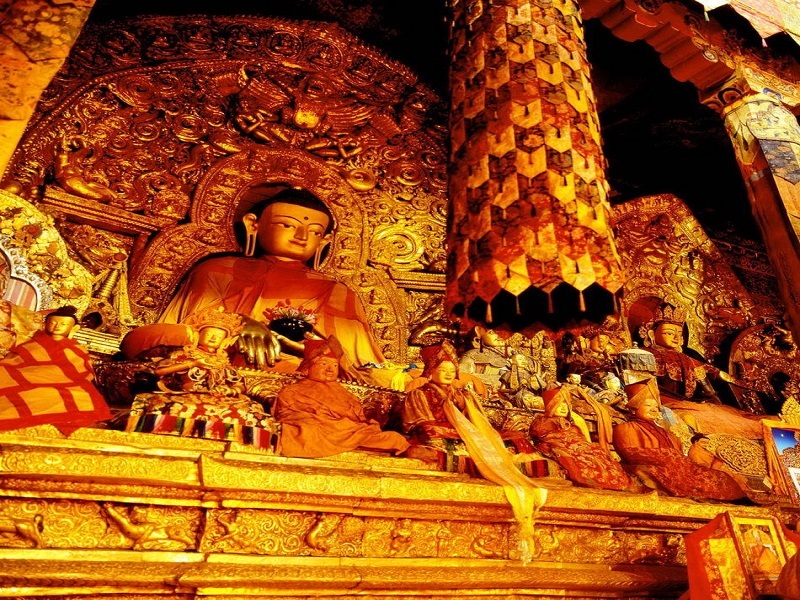 The Southern Monastery is a square-shaped structure with a total area of 44,940 square meters. It's a 3D Mandala with the architectural style mixed with Chinese, Indian and Tibetan. Unfortunately, the Northern Monastery was destroyed in the Great Cultural Revolution and only a 2-storey hall built in the Yuan Dynasty survived. 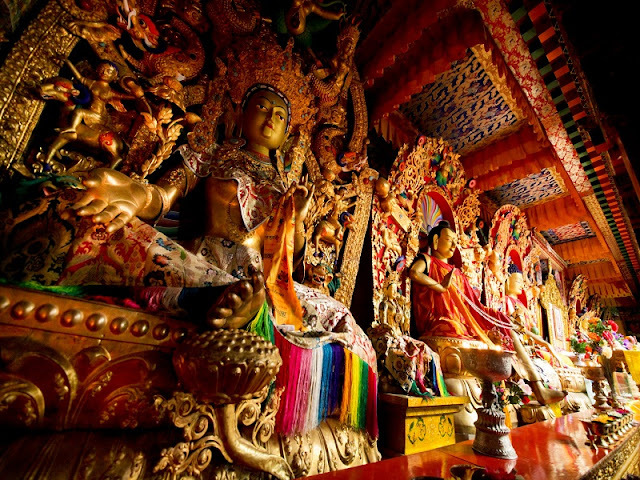 Praised as the second Dunhuang, Sakya Monastery is famous for its huge amounts of classical books. Most of them can trace back to the Yuan and Ming dynasties. These precious books were carefully written with golden, silver and crimson powders. The most famous one weighs nearly 500 kg, this made it be the largest scripture all over the world and it could be an amazing thing to the tourists who come there for a Tibet Tour. 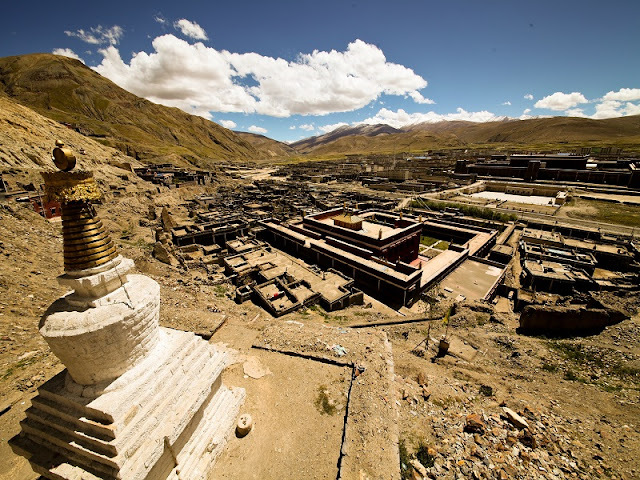 Sakya Monastery keeps most of the pattra-leaf scriptures which are extremely valuable Buddhist heritages in the world. Originated in India, Buddhists wrote Buddhist scriptures and drew the image of the Buddha on pattra leaves with a history of more than 2,500 years. The pattra-leaf scriptures are important resources to the studies of Tibetan culture, language, Buddhism, and religious art. Due to the cold and dry climate in this high temple, these treasures survived from rotting and handed down till today. 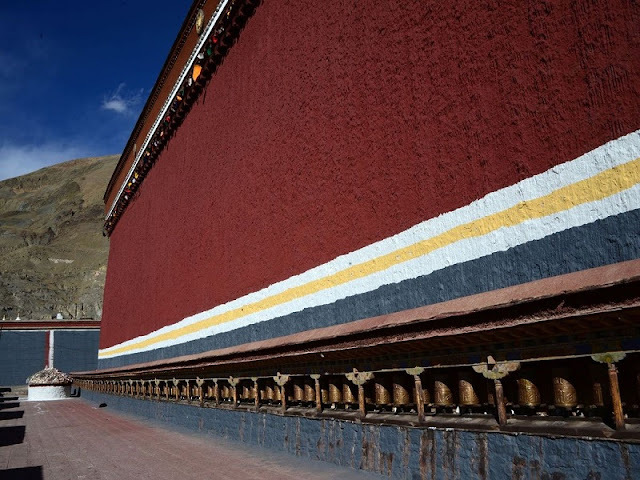 Besides, Sakya Monastery preserves more than 3,000 Exquisite murals related to religion, history, culture and social life. It was announced by the Chinese State Department as one of the first important nation-level preservation units of cultural relics in 1962. With decades of repair and reconstruction, the ancient place is open to the Worldwide travelers with its brand new status.